This precipitation-hardenable non-magnetic corrosion-resistant alloy, has a temporary resistance load 120 to 160 kgf/mm2 (1180−1570 MN/m2), has normal elasticity modulus 19 000−20 000 kgf/mm2 (186 000 500−196 MN/m2). Hardness, resistance to corrosion processes provides the addition of chromium. With Nickel, the alloy acquires plastic properties. The addition of cobalt is to obtain high heat resistance and magnetic permeability. Lightly loaded parts of power plants, thermal devices where important components with significant resistance. Doping with silicon, chromium, aluminum to withstand corrosive environments, as when heated, these substances are able to form a protective film on the surface of very hard oxides. All offered products are certified. In the technical documentation included data on chemical composition and set the percentage limits of the additives. Supplier «Electrocentury-steel» delivers a circle, wire, pipe elinvar® — NiSpan c902® standard and custom sizes at an affordable price in a optimally short period of time from warehouses in Russia and Ukraine. The cost of a round, wire, pipe elinvar® — NiSpan c902® meets high product quality. 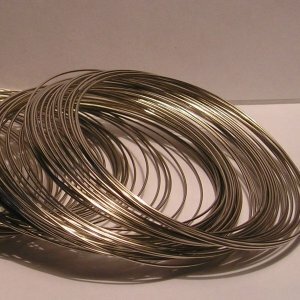 To buy a round, wire, tube from a vendor Electrocentury-steel possible at an affordable price. Price sheet, strip alloy is formed on the basis of European standards of production. To buy a round, wire, pipe elinvar® — NiSpan c902® at an affordable price, you can wholesale or retail. Regular customers can take advantage of the discount system of discounts from the company Electrocentury-steel.